Athina Onassis, the only surviving descendant of Greek shipping magnate Aristotle Onassis, is said to be planning to visit Greece for the first time in twelve years, according to greekreporter.com. 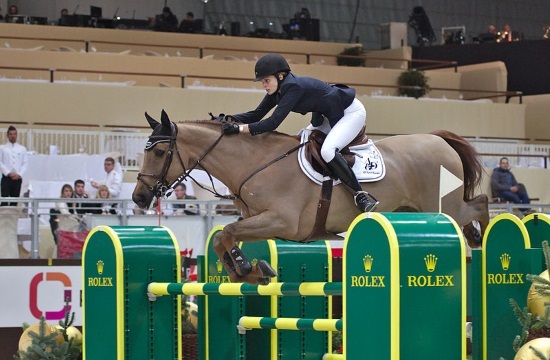 Star TV reported that the heiress, who is an equestrian, is expected to take part in an international event scheduled to take place in Markopoulo, near Athens, at the end of July. The last time she visited Greece was in 2007, when she traveled to watch her former husband Álvaro de Miranda Neto at the Athina Onassis Horse Show. Onassis is based in France and has in the past refrained from visiting Greece. Insiders say that she was disappointed at the way her grandfather’s estate was distributed after his death. Athina Onassis is the single heiress of Christina Onassis, who inherited 55% of her father Aristotle Onassis’s fortune. The remaining 45% of Aristotle’s fortune, minus the $26 million settled upon his widow Jacqueline Kennedy Onassis, was left to the Alexander S. Onassis Foundation. The charitable fund was founded in memory of Alexander Onassis, Athina’s late uncle and Aristotle’s beloved only son, who died in a plane crash in 1973.